The new USB Net Power 8800 is a economical device for network power control. With this device power control cannot be any easier. Simply plug in the device, run the software and now anyone can turn on turn off their devices via the PC. Also with a scheduler function included this device can easily become automated to turn on and turn off anything connected. 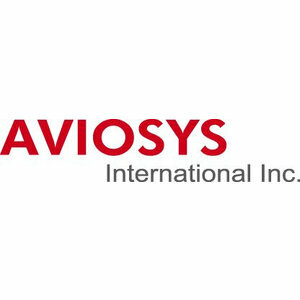 Based off of Aviosys IP Power design this new 1 port economical solution allows flexibility of using this device for any situation and location. All you need is a PC and a power jack and you can control anything. The date and time section will automatically synchronize the time and date with the computer that is being used. This time will be used to setup the scheduler for the device so that it can correctly turn on and off devices at the desired times. The scheduler allows you to schedule events when your device will turn on / turn off. This creates a very powerful tool, in that all your power needs can become automated. The on / off controls allows you to directly control the device. From here you can instantly turn on / turn off your connected device. To the right of this feature you will see a log file which will show you the current status of the device. The remote setting section is where you can setup the device so that it can be controlled from outside the network. This means as long as the computer with the 8800 is attached and the software is running you will be able to control the device from a remote location. The Power Timer on the USB Net power software is used to toggle the output in a specified amount of time. For example: If you set 5 seconds as the time delimiter, then every 5 seconds the device will automatically switch from 1 state to the other. With IP Power center you can connect to your device from any networked location. By searching for the name of your device you can easily find the device in the network and control it from another computer. GAE adds a new way to remotely control the USB Net Power. With the power google cloud computing, this GAE functionality allows you to control the USB Net Power from any remote location with Internet.